Genre: 3D Beat 'em up. Very few games can be considered perfect. Some of the greatest games are not immune to flaws: Final Fantasy VII can become bogged down in its random encounters, Metal Gear Solid can suffer from a frustrating start and God of War has that awful spinning-blade segment. In other words, while publications can often give a full 10 score, it shouldn’t represent perfection because, like life, nothing is perfect. 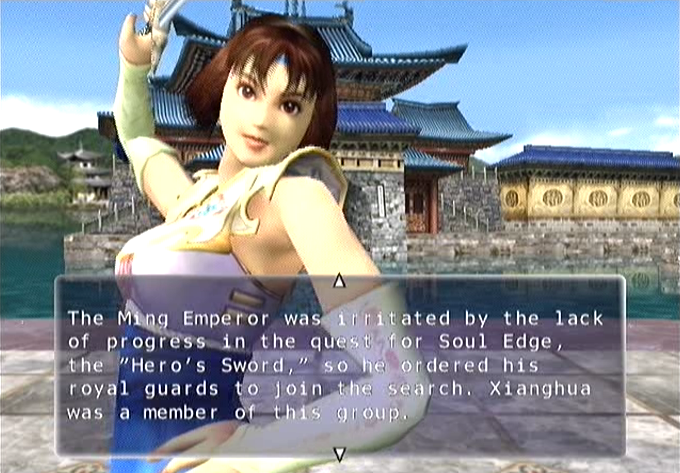 But SoulCalibur is the anomaly: even though 1999 has passed, it remains one of the most beautiful, smoothest and engrossing 3D fighters ever made. And it may be perfection in every sense of the word. 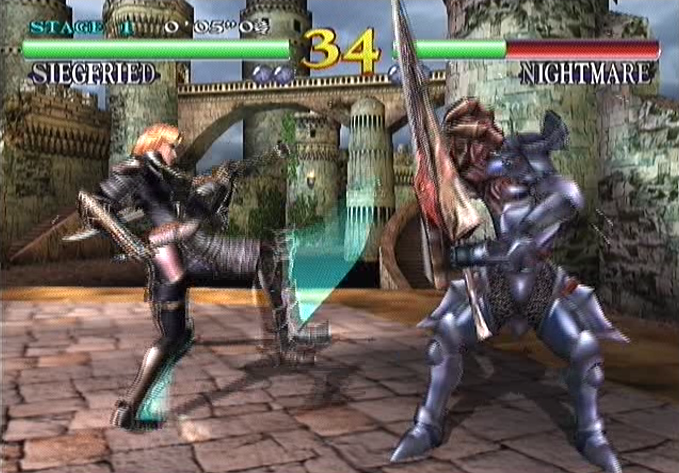 Originally landing in arcades in ’98, SoulCalibur would mark one of the rare occasions where a console port outdid the arcade game. It’s breathtakingly beautiful, with enhanced characters and animations bringing the fighting up to a new level. The environments receive a 3D upgrade too, with crisper texturing and gorgeous details bringing stages – ranging from the expansive City of Water to the intricate Valentine Mansion – to life. But its artistic feats are matched with technical brilliance, as a crisp performance keeps the action moving incredibly well. Even today, it stands as one of the loveliest looking fighters made. It looks so good, Namco opted to render the intro using in-engine graphics rather than FMV. But it’s the gameplay which keeps you coming back. SC innovated through its eight-way movement, allowing you to utilise far more tactile movement. It continues the excellent focus on weapon-based combat, giving the fighting a distinct flavour. 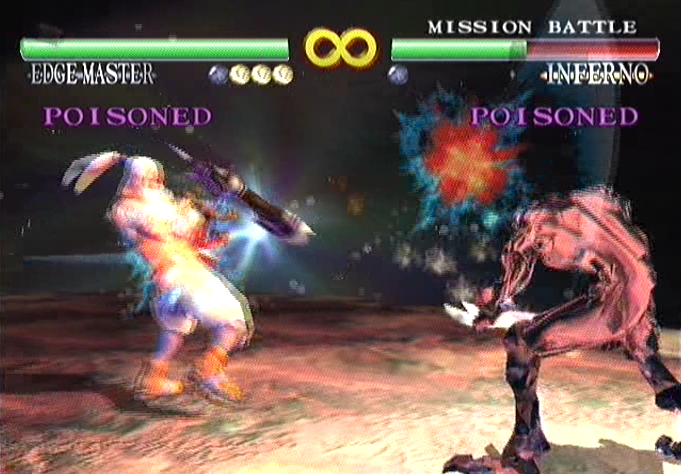 Soul Edge’s guard impact has also been expanded, allowing you to stun enemies, push enemies back and redirect attacks. But the best part of SoulCalibur is its accessibility. It’s easy to pick up, with more lenient timing allowing players of lower skill to pull off decent combos without feeling left in the cold, while higher skill comes in the form of chaining combo offences that leave foes unable to move. Couple that with other tactics like forcing ring-outs and juggling combos and it still plays a treat. It finds a comfortable home on the Dreamcast controller too, making combos a breeze and not a frustration. The roster has also seen a decent expansion. Along with Soul Edge combatants Sophitia, Hwang, Siegfried and the awesome Cervantes, there are new additions aplenty. Astaroth’s gothic hammer attacks makes for a lumbering but powerful foe, Maxi the nunchaku wielder and the grotesque series veteran Nightmare whom was conceived from an ending from Soul Edge. The roster is varied, yet incredibly balanced, as parallels can be drawn between characters yet they have strengths and weaknesses which can be exploited. You can customize the roster with unlockable costumes too, allowing you to add a personal touch. There’s a treasure trove of content too. The main meat of the game comes from Mission Mode, a series of special challenges that test a range of skills, from straight combat to ring outs and defence. This brings near endless rewards, allowing you to unlock content such as extra costumes, levels, artwork and gameplay modes. Team Battle, Survival, and a Training Mode have all been added over the arcade original (along with a traditional arcade series with unlockable endings). There’s also a treasure-trove of extras: exhibition allows you to explore in-depth backstory and view fighting matches, modifying the intro theme and layers of difficult challenges added to Mission Mode. Not to mention the local fighting, which remains timeless. It even is a treat on the ears. 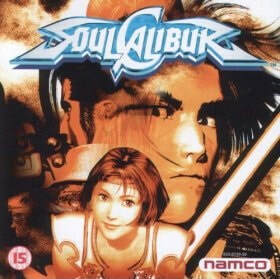 SoulCalibur bears one of the best soundtracks in history. From it’s opening track Light and Darkness, which effortlessly blends a high-pace intro with a sweeping orchestral chorus, you can tell SC’s music is some of the best. Even the character select-screen feels like an epic step into combat, while arena-specific tracks are crafted with care and love. Ivy’s theme feels seductive and mysterious, while facing Inferno (the final boss of arcade) conjures a frantic and desperate rush of emotion. The effects also deserve praise, with crisp and clear metal clanks (which is essential in this weapon based game). The Japanese voice work has been retained, bar the announcer who delivers his lines with great pomp that fits with the music’s epic overtones. 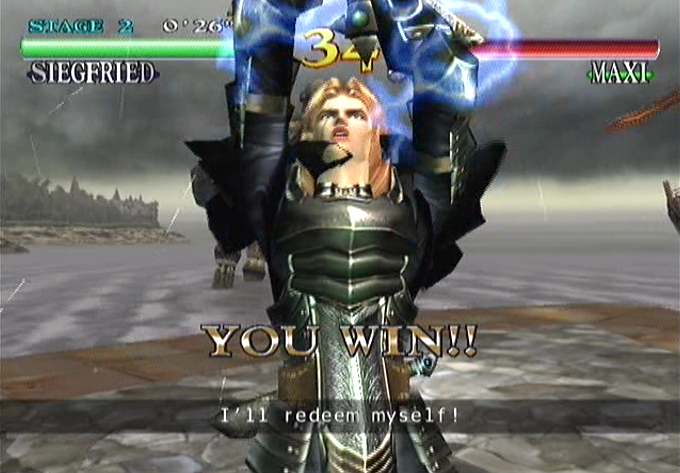 Soul Calibur might be the closest to perfection a fighting game has come. It’s a beautiful, fast-paced and engrossing beat 'em up that is filled with riches of content, bores one of the most diverse yet balanced roster of characters to date and represents a rare example of being superior to its arcade origins. It remains one of the greatest fighting games ever made and, in an age where rosters are cut for DLC and fighting games are lacking inspiration, Soul Calibur still stands tall as a prime example of the genre. If you missed it, grab your sword: the legend will never die. "It’s a beautiful, fast-paced and engrossing beat 'em up... Soul Calibur might be the closest to perfection a fighting game has come."